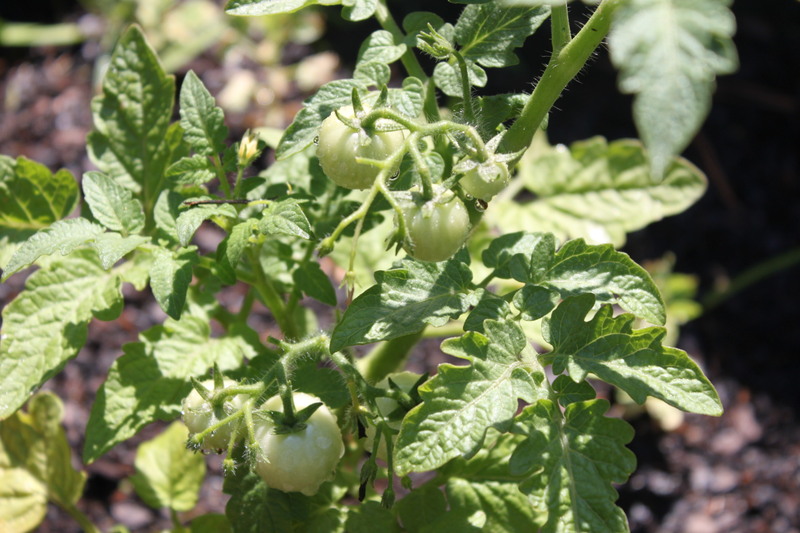 As I take pictures of our growing vegetables, I’m reminded of the book “Messy Bessy’s Garden”. It’s about a little girl who grows a garden and doesn’t take care of it! Well, it appears as though we’ve become Messy Bessy this month. We really haven’t done much to the garden besides water it, so it’s past time to weed it and do other stuff you’re supposed to do (not sure what that “other stuff” would be – add more fertilizer?). Anyway, here are our tomatoes, green and plump, plus another snapshot of the entire garden. The beans (or is it the peas?) 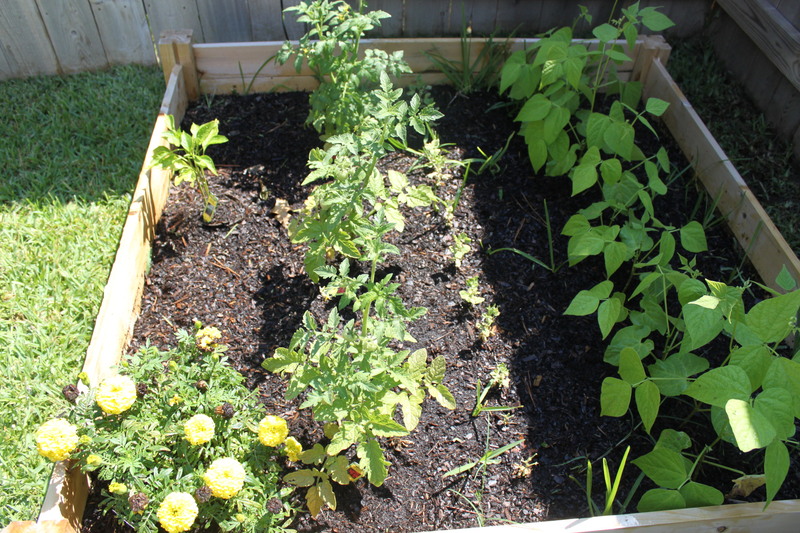 are growing beautifully, and the other row (either the beans or the peas) seems to be growing too slow. I can’t remember which of the two I planted where, so we’ll just have to wait and see. The marigolds and bell pepper plants seem to be growing well too. Previous PostPrevious Let there be “dance”!